The Last Parsec is an amazing setting with some really great adventures. It has an old-school feel that reminds me of the classic TSR game Star Frontiers. 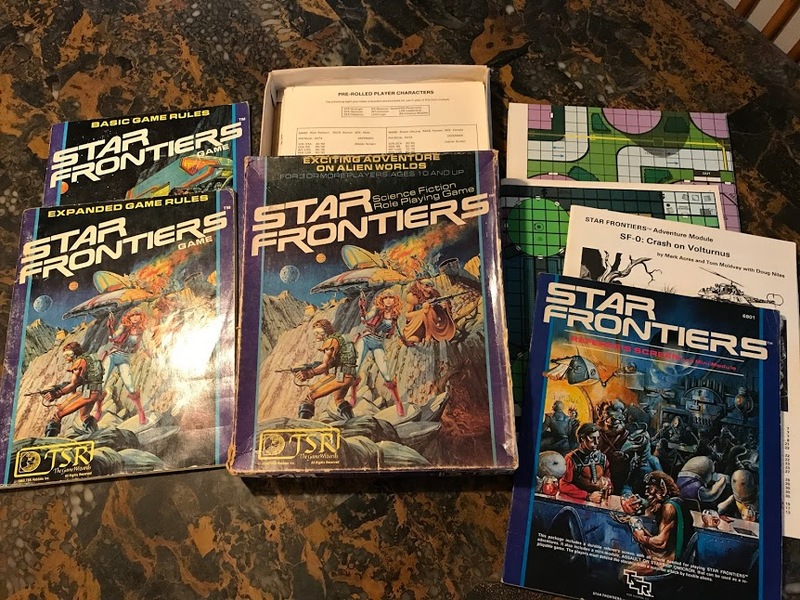 Actually, The Last Parsec was directly influenced by Star Frontiers and Shane Hensley talks about that influence here. 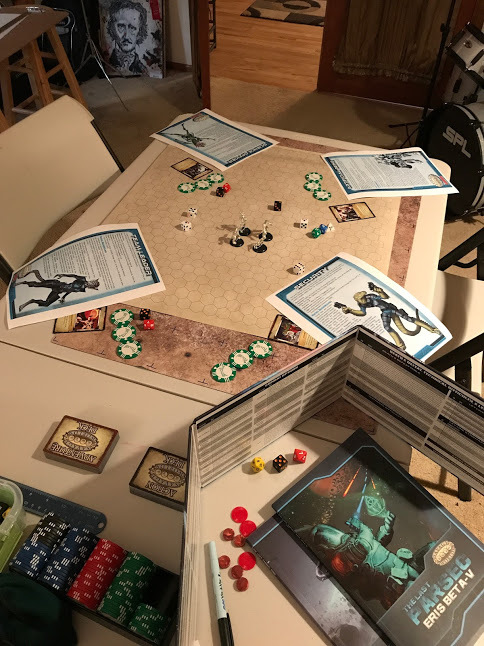 Last year I ran Leviathan and it was a fun campaign. Recently, our group began running Eris Beta-V and I have to say that it is an amazing, high-action set of adventures. We’re using the pregenerated characters from Pinnacle’s web site. I went through most of the products available for The Last Parsec and wanted to provide a possible order to do all of the adventures in. One of the things I like best about The Last Parsec is how seamlessly it runs with Savage Worlds and the Science Fiction Companion. 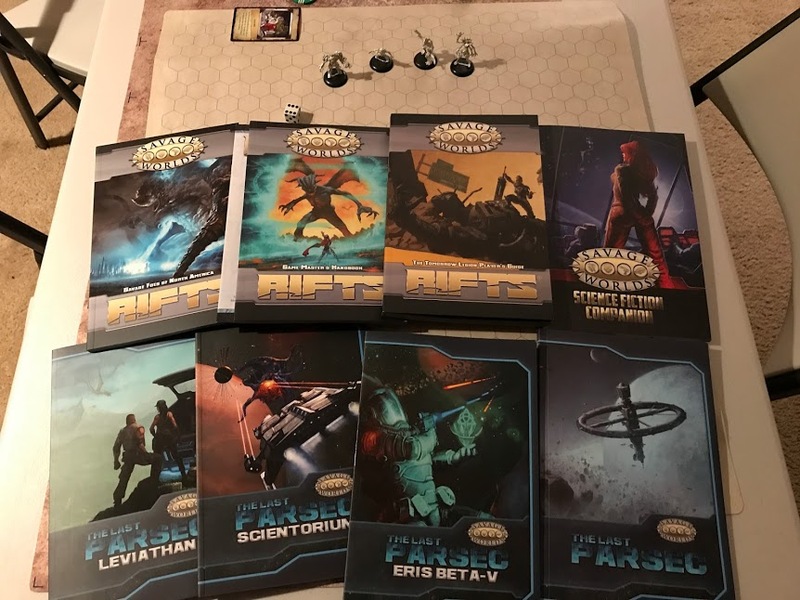 I’ve noticed that Rifts is very similar in adhering closely to the Science Fiction Companion and I’m thinking about merging the two somehow. It would make for a great sic-fi setting that feels a lot like Guardians of the Galaxy.